Troxel Legacy Hunt Cap Styled Training Helmet. 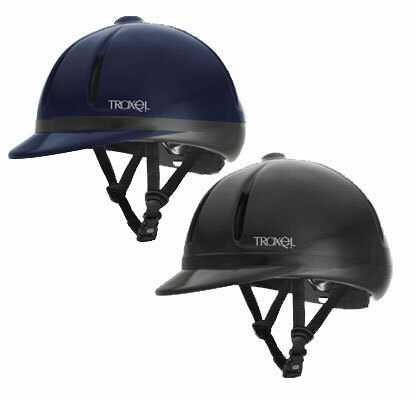 The Troxel Legacy is an economic affordable alternative to the Legacy Gold Duratec helmet. This riding helmet is known for its lightweight, slim, sleek profile. The hunt cap styled helmet's narrow profile offers a classy look while keeping you safe. One key feature to this schooling helmet is the GPS II™ Dial Fit System which allows you to make a quick adjustment to recieve a comfortable fit. The GPS II™ Dial Fit System makes for a quick and comfortable fit. Approx weight - 12.4 oz.